There is no spaceship more iconic and solidified in our pop culture than the Millennium Falcon from Star Wars. While Luke Skywalker and Darth Vader are major fan favorites for their use of the Force and mastery of a lightsaber, Han Solo is everyone's favorite smuggler, maverick, and scoundrel. 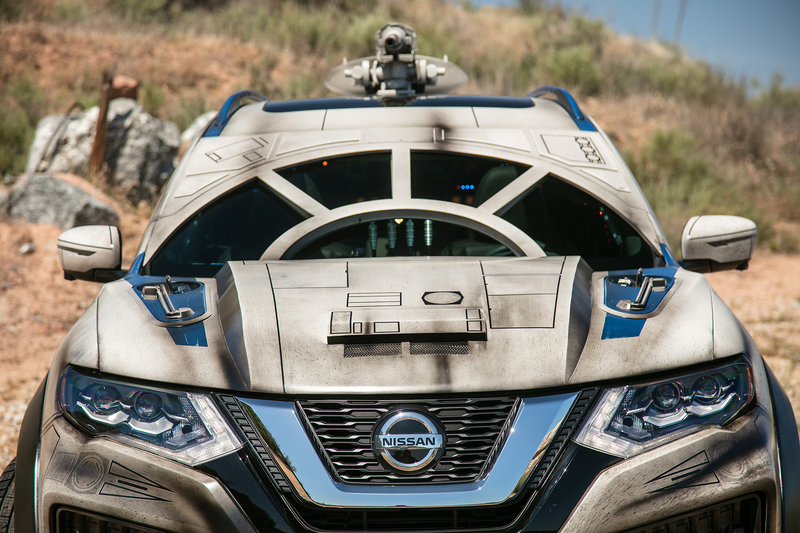 To celebrate the upcoming Solo: A Star Wars Story, Nissan and Lucasfilm collaborated to bring the Millennium Falcon to life embodied in its best-selling SUV, the Nissan Rogue. 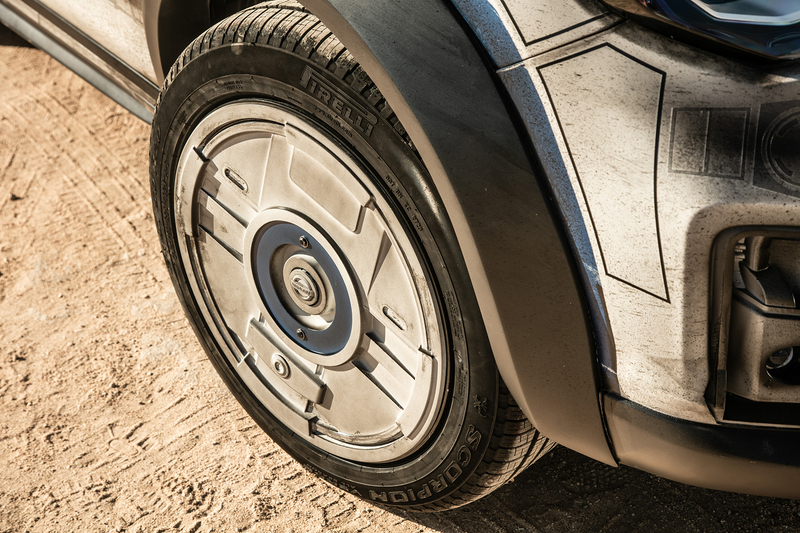 The 2018 Nissan Rogue Millennium Falcon features unmistakable elements from the most-beloved ship in the galaxy. 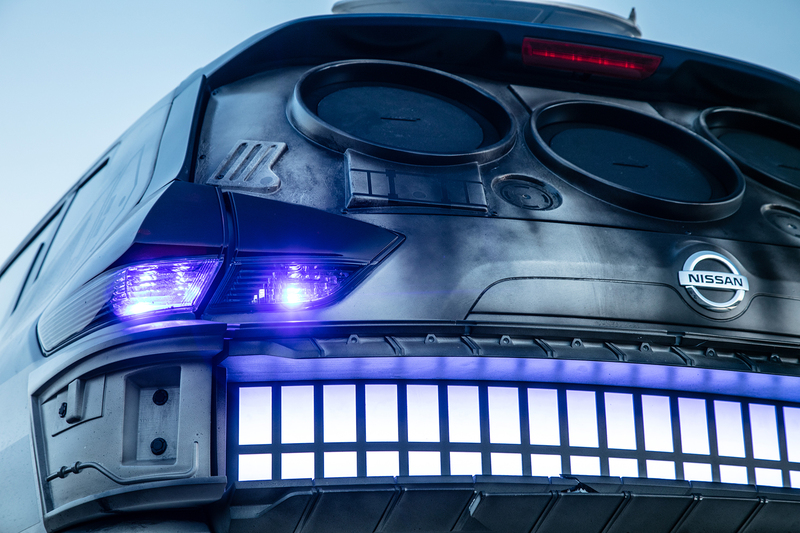 The Millennium Falcon-inspired Rogue is the most extensive Star Wars-themed Nissan custom show vehicle build to date. We saw many of these custom builds at the Los Angeles Auto Show this year including the AT-M6 inspired Nissan Titan. The exterior is where much of the workmanship shines. 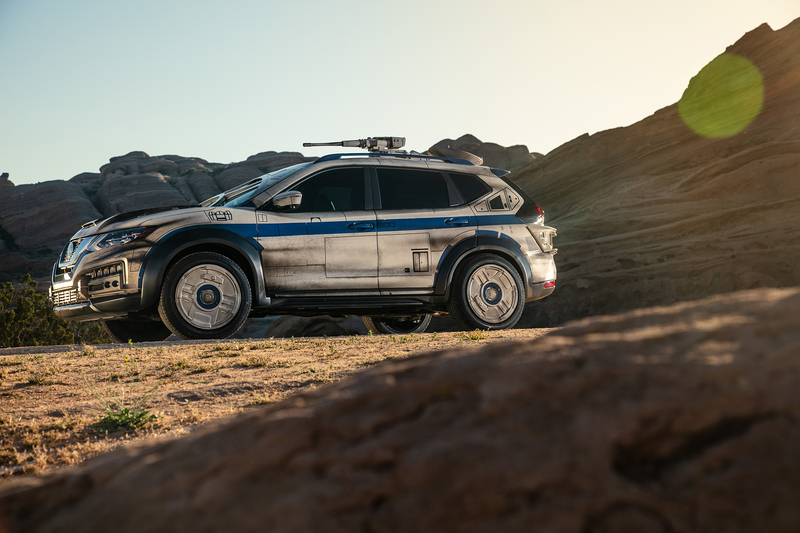 Custom handcrafted aluminum body panels feature details mimicking the Millennium Falcon, while 3-D-printed inserts bring another level of immersive depth to the vehicle. 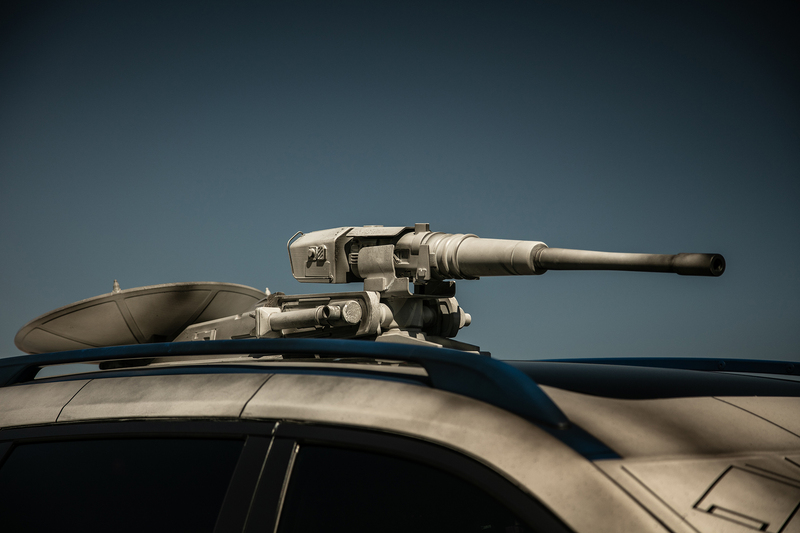 A roof-mounted radar dish and laser cannon appear as though they could have been lifted right from the movie set. 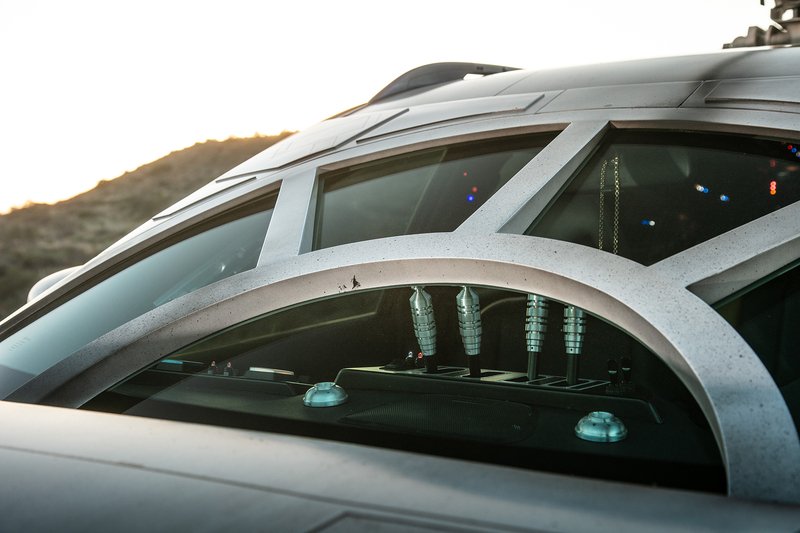 Up front, the multi-pane windshield clearly resembles the cockpit of the Falcon. 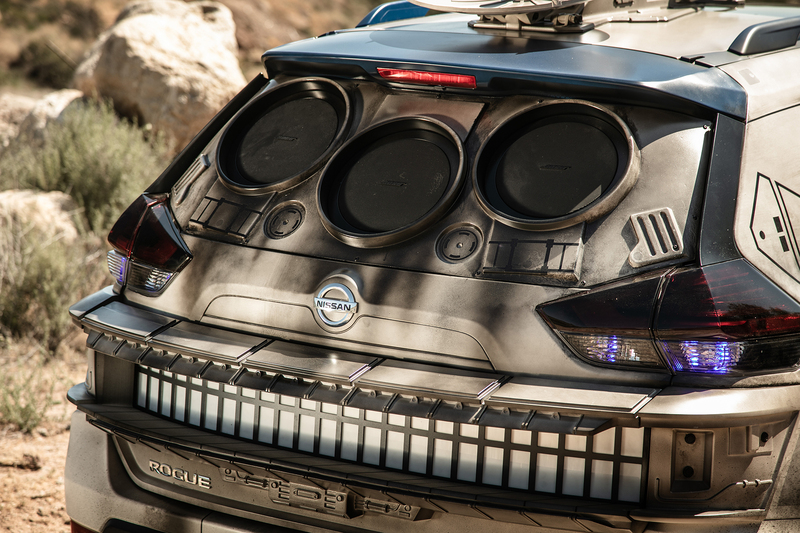 In addition to a fully customized movie-inspired exterior, this Star Wars-inspired Nissan receives a full interior makeover channeling the iconic cockpit of the Millennium Falcon. No previous build has received this level of attention. Just as any Star Wars fan would expect, the level of detail and craftsmanship of the interior is worthy of its own film. The interior features buttons, lights and sound effects closely reflecting the sights and sounds of the Millennium Falcon’s cockpit. It also features front and second-row chairs like those seen inside the Millennium Falcon. 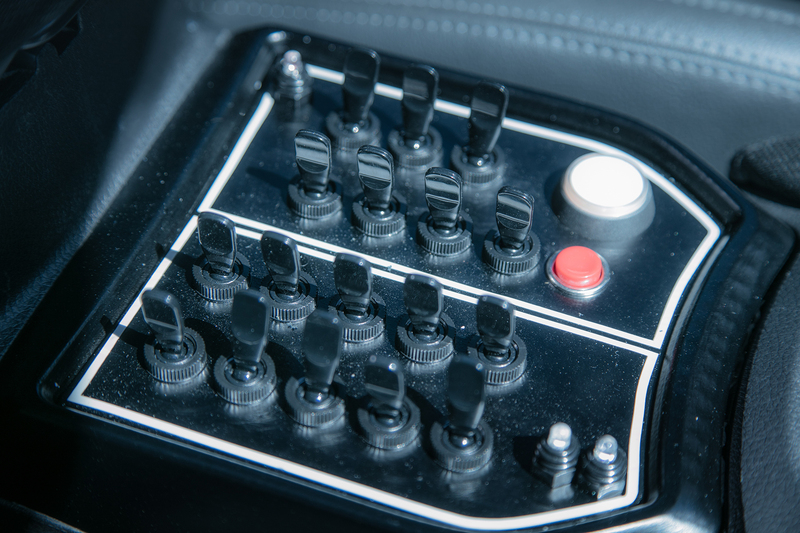 Additionally, a set of center-mounted “hyperdrive” controls bring the package to life. What might be the most impressive component of the Nissan Rogue Millennium Falcon is a rear subspace-hyperdrive unit that spans the entire width of the Rogue. 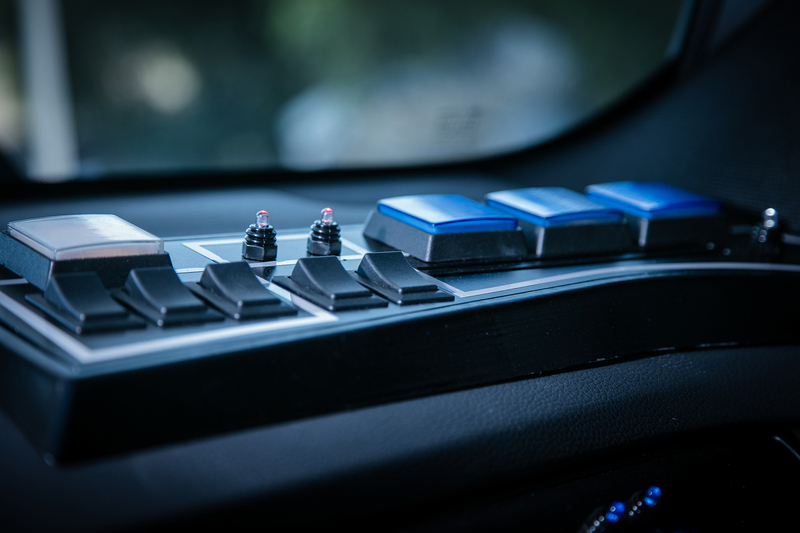 In honor of its on-screen counterpart, the unit glows bright blue and incorporates a trio of high-mounted Bose speakers and an 18-inch Bose subwoofer that provide an aural experience. Inside and out, the Bose system delivers an impressive 1,500 watts. Can someone say galaxy party? 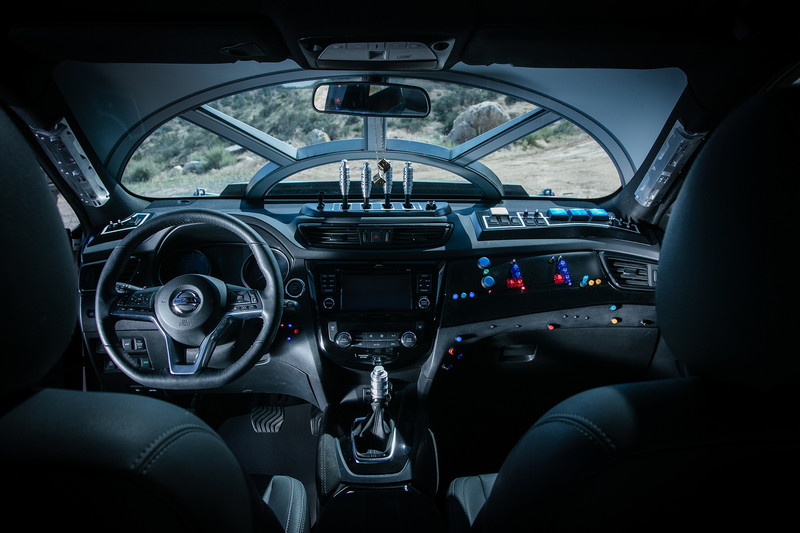 The Nissan Rogue Millennium Falcon capitalizes on the film cues to showcase Nissan's Intelligent Mobility technology and ProPILOT assist which helps drivers maintain speeds and guide the Rogue “Straight Down the Center.” A line you are likely to hear from Lando Calrissian’s droid co-pilot in the new film. Similarly, the Millennium Falcon always seems to find its way out of trouble ahead by navigating obstacles with apparent ease though robotic technology. See the connection they made there? The only question I have now is, where are the keys? Solo: A Star Wars Story is in theaters nationwide May 25.